Thanks for this. Nice to have it all in one place. @madame @rmar THANK YOU both very much appreciated! Thanks, MBd. Have you done one like this for Designer as well? That's the one that I'm a beginner in. 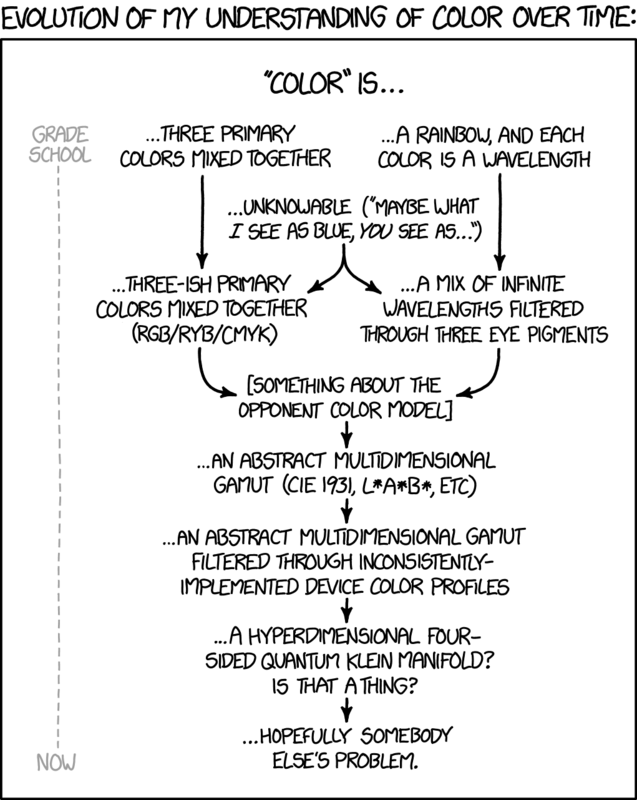 SoftProof, ColorProfiles, Performance, ColorSpaces, Export....well...most of the things are actually the same in AD. I especially like the (vampire) one that shows just how dramatic an image improves with a bit of raster grunge - beautiful, yet so simple. There's also good stuff from there about creating cartoons and some starting kits to get you up to speed if that's your scene. If you want to add something to a topic or ask a specific question, feel free to post in the corresponding thread. Downloaded the PDF, its very useful. I never did any photo/image processing except in a very casual manner. Lots of basic stuff I need to have defined. @MBd: Ahh, so "things" more in the sense of definitions, rather than basic how-to's. I think you have chosen a good starter set. For DPI/PPI, might you add a "why/where does DPI/PPI matter? It is a difficult concept for beginners who have all their life measured stuff with a ruler. Why do they need to know the DPI/PPI definition/thing? Why can't they just keep using cm/inches they have used since grade 1? We all know a display is measured in pixels but so what? It was a difficult concept for me until I became a web designer. Then, there was no getting around it anymore. Always appreciate the generous tips you provide and this is another great example! No objections. The document clarified some things I partially understood, like alpha. Small typo correction. In the table about "save as psd or what"
The column labeled "supports ector" I s'pose should be "supports vector"
Good Time vs Color Definition chart! Funny! You could even add another downward column showing how my aging eyes took colors from bright in Grade School to some gray average Now! Making me happy it is somebody else's problem.